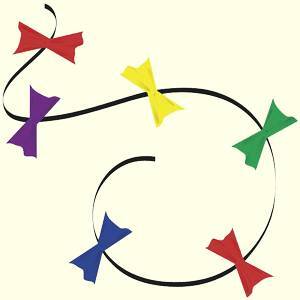 A colorful kite tail of rainbow colored bow ties. This kite tail also makes fun kite line laundry. Kite Tail is 8 feet long and has swivel hook attachment. Bow Ties are made of nylon fabric attached together with strong nylon ribbon.